We've already recognized a whole bunch of the best game soundtracks of 2011. But of course, there are only so many hours in the day—only so much time to play games, and one can only write about so many game soundtracks. Fortunately, you guys were up to the task of nominating outstanding soundtracks that didn't make our official round-up. On Thursday, you put forth a ton of worthy original soundtracks from the year. I gathered 'em all together and listed them here. 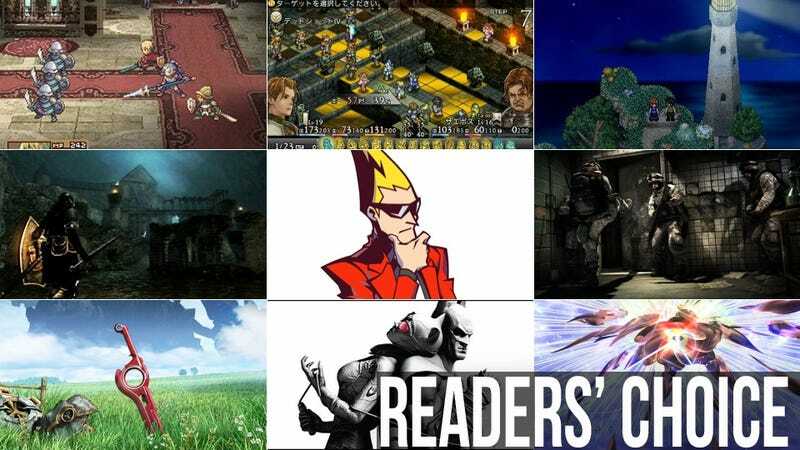 As an unscientific aside, if I had to gauge the general tenor, enthusiasm, and number of nominations, Kotaku's "Readers' Choice" Award for Best 2011 Video Game Soundtrack would go to Deus Ex: Human Revolution, with Bastion and Xenoblade Chronicles as runners-up. Y'all have good taste. Each of these entries has been written by a Kotaku commenter, sometimes more than one. Let's get down to it, shall we? I can't BELIEVE that no one has posted anything about Battlefield 3 yet! The strange, electronic soundtrack goes perfectly with the atmosphere of the game, both in the singleplayer and multiplayer. For instance, when a multiplayer battle is reaching its conclusion, a track starts playing in the background, and the fight seems more and more intense until you see "Your team lost." or "Your team won!" For me the music is a tribute to the intensity of battle that the game is trying to convey. That syncopated 6-feel rhythm sounds spastic yet oddly ordered, sort of like a series of autocannon shots or mortar shells going off. That little synth line that comes in on top is just so wonderfully placed, and carries the song, which starts out rhythmically, harmonically. All the little beeps and sounds are very similar to a lot of the noises that you hear in the game, like the target lock sound on your Javelin or a bullet whizzing by, or bits of dirt hitting the ground after an explosion. And there you have 'em, our readers' picks for the best soundtracks of 2011. Thanks to all who contributed!